King's Casino, located on the German border in Rozvadov, Czech Republic, is a hotbed for pot-limit Omaha players offering tons of cash games including high-stakes games it often live streams. 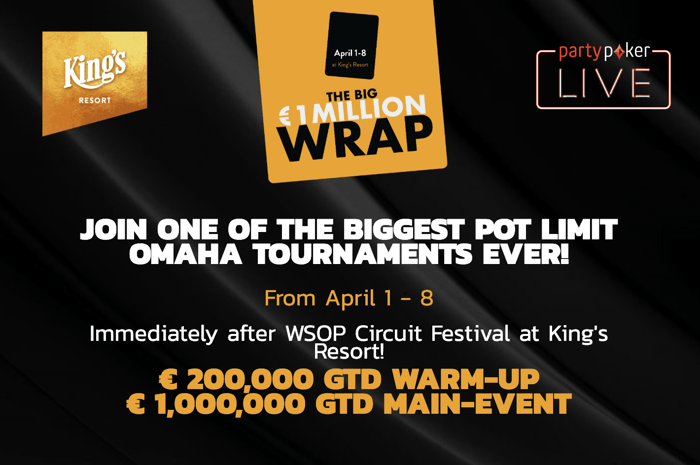 Pot limit Omaha tournament players are about to be in for a huge treat as the inaugural The Big Wrap is coming to King's Resort on April 1-8. The festival features two big tournaments with a combined €1.2 million in guarantees making it a festival pot-limit Omaha players can't miss. Of course, there are plenty of satellites to qualify cheaper, and cash games will be running around the clock throughout the festival. The first big tournament on the schedule is The Big Wrap Warmup PLO featuring a €550 buy-in and a €200,000 guarantee. The event features three opening flights on April 1-3 where players start with 30,000 in chips and blinds increase every 30-minutes. Each flight allows for unlimited reentries throughout the late registration period that ends after the tenth blind level. Surviving players will compete for two more days in longer 45-minute blind levels on April 4-5 until a winner is crowned. Satellites for this event start at just €75 giving any player a chance to compete for what promises to be a huge payday. The highlight of the festival is easily The Big Wrap PLO event running April 5-8. This event will attract some of the biggest names in poker thanks to its €2,350 buy-in and a massive €1,000,000 guarantee. The tournament is an eight-max deep-stacked affair with players starting with 100,000 chips and blind levels increasing every 40 minutes on the two opening flights on April 5-6. Late registration and reentries close after 14 blind levels, which is the second blind level of Day 2 on April 7. The structure is deeper after the late registration period is closed with blind levels increasing to one hour. The final day will be played out on April 8 and of course, will be live streamed as is typically the case at King's Casino during big events. Players can get in even cheaper to this big buy-in tournament with a handful of satellites with buy-ins ranging from €250 to €350. 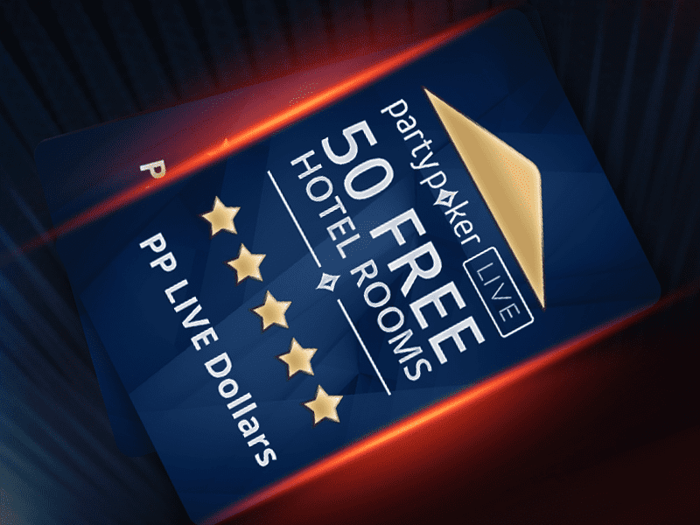 You can buy into The Big Wrap PLO using PP LIVE Dollars, the partypoker's live tournament currency. 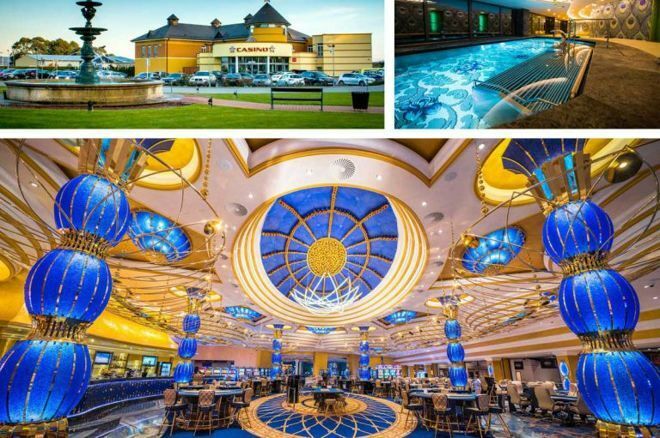 The first 50 players to buy into the €1 million guaranteed The Big Wrap PLO using PP Live Dollars will be given three nights of hotel at King's Resort for free. The Big Wrap players that choose to directly buy-in can take advantage of special hotel deals where they can enjoy five nights at King's Report for €349 or six nights for €399. These special room rates are running out fast so if interested contact Frank Koopmann via +420 735 124 100 to make a hotel reservation.